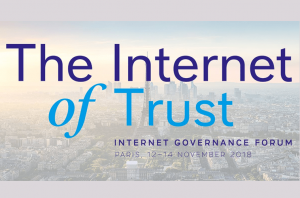 The thirteenth Annual Meeting of the Internet Governance Forum (IGF), convened annually by the Secretary-General, will take place in Paris, France, from 12 to 14 November 2018. The IGF is a multistakeholder forum open to all. Past IGF meetings have attracted between 2,000 and 3,000 participants, representing all regions and stakeholder groups, including Governments, the private sector, civil society and the technical community. The 2017 IGF in Geneva, Switzerland, gathered over 2,200 participants from 142 countries, with thousands more stakeholders participating online. The preparation of the annual IGF is guided by the 55-member Multistakeholder Advisory Group (MAG) appointed by the Secretary-General. For the 2018 MAG, a total of 55 members (45% female), 28 among them new, have been appointed, representing all stakeholder groups and all regions. All Advisory Group members serve in their personal capacity but are expected to have extensive linkages with their respective stakeholder groups. The main task of the Advisory Group is to provide advice on the preparations for the thirteenth meeting of the Internet Governance Forum in 2018 and its intersessional activities. Representatives of previous host countries and of relevant international and regional intergovernmental organizations are also invited to attend Advisory Group meetings. another ten years in December 2015, during the high-level meeting of the General Assembly on the overall review of the implementation of the WSIS outcomes. The Forum’s past eleven meetings took place in: Athens, Greece, in November 2006; Rio de Janeiro, Brazil, in November 2007; Hyderabad, India, in December 2008; Sharm el-Sheikh, Egypt, in November 2009; Vilnius, Lithuania, in November 2010; Nairobi, Kenya in September 2011; Baku, Azerbaijan in November 2012; Bali, Indonesia in October 2013; Istanbul, Turkey in September 2014; João Pessoa, Brazil in November 2015; Jalisco, Mexico in December 2016 and Geneva, Switzerland in December 2017. Elections and domain names? What is the connection?